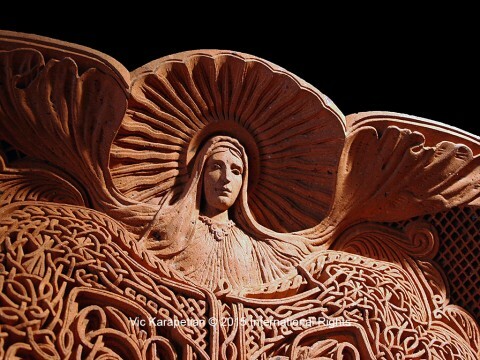 A Kickstarter campaign has just been launched from L.A. that aims to create replicates of the Kachkar, a sculpture that has been hailed as one of the most interesting and intricate art pieces ever created. The Kachkar’s origins lie in Armenia, where passionate and ambitious artist Hratch Karapetyan began work on a stone carving to memorialize his late father. He soon found that he had got lost in a plethora of ideas, each the more elaborate than the last. The piece he had envisioned grew into much more than initially imagined, and became the most ambitious sculpture ever created. He carved a sculpture that represented the pillars of Christianity: peace, strength, freedom, and infinity, overseen by the Virgin Mary, the mother of all Christians. Karapetyan’s work left those who saw it in awe, from Christians to all others with an interest and enthusiasm for great works of art. The current Kickstarter project is aimed at facilitating the recreation of his masterpiece. Sculptor Roy W. Butler will be creating a smaller, handmade reproduction of the Kachkar, which will then be copied to spread the beauty of the original far and wide. ‘There’s no way you can really experience it until you do see the piece in person, and we’re going to try and capture as much of it as we can in the reproduction,’ says Butler. Check the campaign out for yourself here.